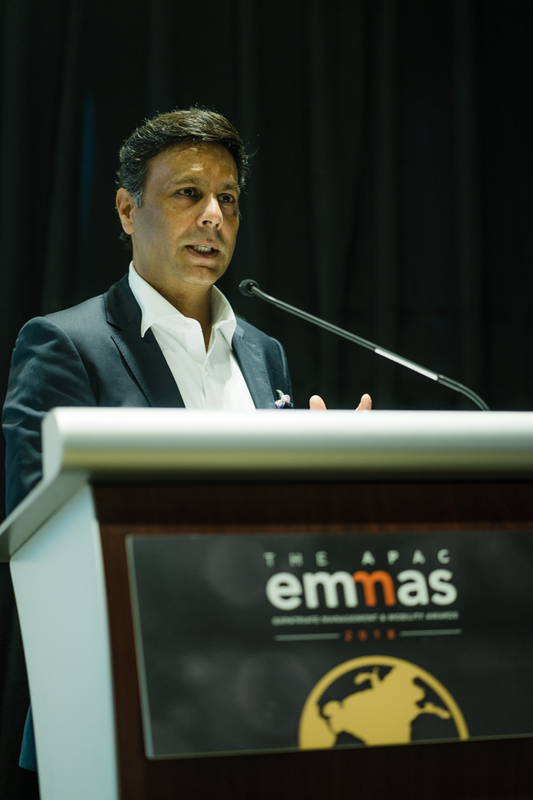 A popular figure in mobility across the continents, Raman Narula's name was announced to great applause at the APAC EMMAs presentation at the Expo, Max Atria in Singapore on the evening of 6th September 2018. As I explained to the audience, all the other EMMAs are solely assessed by a team of independent judges, but this award, for the Outstanding Contribution to Global Mobility is in the gift of FEM and so it is particularly special to the team. It seemed to us at FEM that global mobility can be a real force for positive change and so I was delighted to present this award to someone who embodies that spirit. How did you begin your career in global mobility? My career in Global Mobility began on a golf course, when some Japanese clients during my corporate travel days shared their pain points about relocating to India. This gave me the idea to create a business model which could bridge the culture gaps and offer a single window solution for services required by an employee when relocating to India. That gave birth to Formula Group which today offers RMCs & MNCs a complete chain of mobility services including destination, immigration, corporate housing, fleet management and travel. Formula Group is based in India, what are the particular challenges there and how do you think international business should approach them? As it’s FEM’s 10th Anniversary this year, we are reflecting on change within the industry. What changes have you seen in global mobility in the Asia Pacific region over the past decade? I guess this industry has always been about PEOPLE & PROCESSES… The change I have seen is the use of TECHNOLOGY which has become trend to align both PEOPLE & PROCESSES. More and more companies are inclined now to develop or buy technology which can automate their back-end operations and improve their efficiency and also be able to further add value to their clients. Where in Asia Pacific do you think are the most ‘challenging’ destinations for organisations and assignees and why? I would still say India and Myanmar. In India, certain government regulations and processes for immigration, lease registrations etc. are still complex and may vary from state to state. Quality of infrastructure is not same as Europe or Singapore, though quality of housing , schools, hotels etc is on a par with the best in the world. As more countries around the world adopt protectionist policies, are you concerned that moving assignees will become more problematic? People are travelling and exploring new countries and places more than ever now, so exploring new cultures and places is a way of life for many who love doing that on vacations. The Economy drives all countries and hence globalisation is key to any country’s or company’s growth… Companies will continue to expand and grow and people will continue to run them from wherever they are required…. Cultural sensitivity is perhaps more important than ever, do you think that assignees are now more or less open to unfamiliar cultures? With rapid globalisation of companies, doing business in new and emerging markets is critical for sustaining growth in current economic environment. So thinking globally and being open to unfamiliar cultures is slowly becoming more of a need, making assignees open to explore new locations for assignments and adapt to new cultures and environments. Women appear to be in the majority in your senior management team and Formula Group is involved in a number of CSR initiatives that help to educate and empower women in India. Is this particularly important you – and if so, why? Women are not only in majority in our senior management but also in my ‘Home Management’ with my mother, wife and two daughters dominating me and my 18-year old son! The initiative to work towards women’s empowerment and education stems from them too, but yes, I am personally passionate about this subject. The female population - especially the underprivileged and those in rural India - can be a huge source of hidden talent, which if explored and promoted, can add immense value in uplifting our society and economy holistically. Formula Group’s CSR work particularly impressed us here at FEM as an example of how global mobility can be a force for positive change, not only within the corporate environment. Can you please tell our members more about it? Being in the mobility business, means you are touching people’s lives. You are being empathetic towards their needs and their concerns. This quality to think of, and for other people can be amplified to become a big force. The quality to be Selfless… To be able to touch the lives of people around us who are not so privileged and live below the poverty line. To be able to contribute to make their lives better and enable them to have a fair chance to live a better life too. There cannot be anything more gratifying and satisfying than that. What do you think are the most important qualities of a global mobility professional? Empathy - To put yourself in a relocating employees shoes and then service their needs. Responsiveness - To be responsive. A timely response or acknowledgement means less anxiety for any assignee or IAM... It makes all the difference. What have been your greatest challenges at Formula Group? - And what do you see as your key achievements so far? I think the key achievement for us is that we actually managed to build a team of ‘like-minded’ people who believed in the vision to be able to create a company which could offer standardised service quality across a culturally diverse India. Finally, what does being awarded the FEM APAC EMMA for the Outstanding Contribution to Global Mobility mean to you? It means a lot. To be recognised on this platform is indeed very gratifying. I am humbled indeed and happy that FEM noticed our holistic and selfless efforts to grow not only our business, but also the society we live and work in. 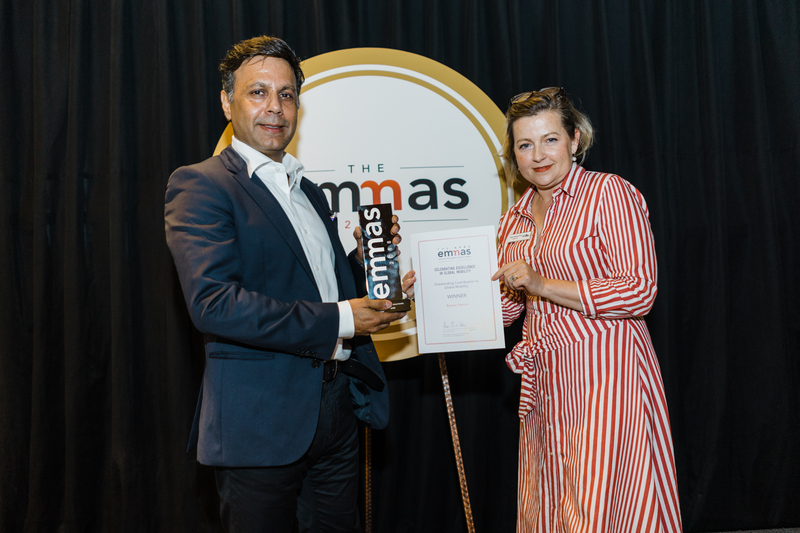 Congratulations again to all of our APAC EMMAs (Expatriate Management & Mobility Awards) winners. You can see the full list of winners here.